Dr. Tom Francescott provides a comprehensive natural approach to beautiful Skin. Dr. Tom Francescott, ND is a doctor, teacher, lecturer, and workshop leader who seeks to inspire and transform people and their lives with authentic and personalized natural health care. He is respected as an authority in healing by his peers and creator of the “Core Foundation” program. Dr. Tom focuses on the body’s “core” health or body+spirit, which includes the emotional, physical and spiritual aspects of healing and recovery. In his practice Dr. Tom’s uses integrative medicine to combine Allopathic and Naturopathic medicine. He believes in listening to the symptoms of illness and then develops a personalized wellness program to treat the underlying cause. Using a combination of Core Foundation products, emotional healing techniques and science based protocols. Increasing your skin metabolism inside and outside can help skin age well. Your skin is one of your primary organs of detoxification. The skin is just an outer manifestation of our inner core well-being. Our core digestion, how we are breaking down our foods, how we are eliminating waste and toxins via our colons, kidneys, and liver & gallbladder. Often when we cleanse, one beautiful thing that happens is that your skin always feels and looks better. The skin also is affected from our inner emotional well being and if we are handling stress properly. Are your hormones in balance? Are we processing any emotional traumas or are we suppressing them and not dealing with them? These can affect our skin health and whether we develop skin rashes, hives, psoriasis, eczema, acne. What are you putting on your skin? Non organic or “clean and green” products? It matters what you put ON your body because any chemicals or toxins need to be also detoxified through your skin metabolism just like your liver does. Your skin has the very same detoxification pathways as does your liver. There are numerous toxins in non natural skin care and makeup and some even linked to promoting cancers. We are living in challenging times and it is important to be mindful of what really matters to you. There is no time like the present to start living your true life now. You were destined to live a unique life that no one else can live. You always have choices and consequences of these choices. I firmly believe that increasing awareness promotes our brain to regenerate and rewire itself. In order to feed new neurons we have to start putting our attention to where we want it and not to be controlled by something external to ourselves. Stress impacts practically every cell in the body and all our major hormones. 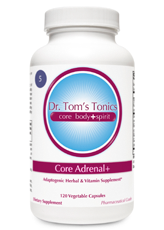 Special attention to supporting the adrenals and balancing blood sugar is important. A holistic and integrated approach encompasses looking at the whole picture. Looking at the person’s recent medical history, symptoms, genetic tendencies, metabolism, past immune issues or infections, history of antibiotic use, and spiritual and emotional factors are all important. Obviously, attention to the immune system is key and correcting any imbalances is crucial. 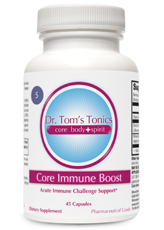 The bulk of one’s immune system is the core or digestive tract. So we need to optimize the digestion and reduce any potential food allergies or leaky gut. 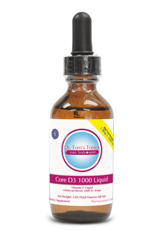 I find many clients with Lyme tend to have leaky gut or candida. Improvement and well being can happen when fundamental key areas are healed. Supporting the adrenals and thyroid are often very important. checking for and correcting nutritional deficiencies like B12, minerals, Omega 3 fatty acids, and then supporting the immune system with natural immune system boosters.